Petplan pet insurance announced that 50 working police dogs will receive pet insurance grants from the National Police Dog Foundation (NPDF) in 2018. The endowment, which Petplan sponsors, awarded five police K-9s with one year of Petplan coverage in 2017. The expansion of the program this year comes thanks to joint fundraising efforts between Petplan and the NPDF. “The inaugural grant period was a success and we’re thrilled to cover even more working dogs this year,” says Natasha Ashton, co-founder and co-CEO of Petplan. 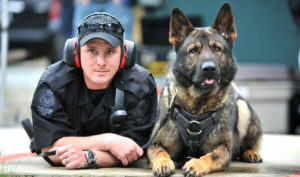 In addition to hereditary health conditions a police K-9 officer’s breed may dictate, occupational hazards like gunshot or stab wounds, lacerations, tail injuries and exposure to highly toxic substances like illegal drugs all threaten a police dog’s health (and a local police department’s budget). Veterinary care can run in the thousands to treat these types of injuries, so protecting four-footed police with pet insurance like Petplan, which reimburses up to 90 percent of the bill, makes good fiscal sense for municipalities. And insuring police K-9s while in active duty ensures that they can stay healthy through retirement; conditions are covered for life, as long as the policy remains active. 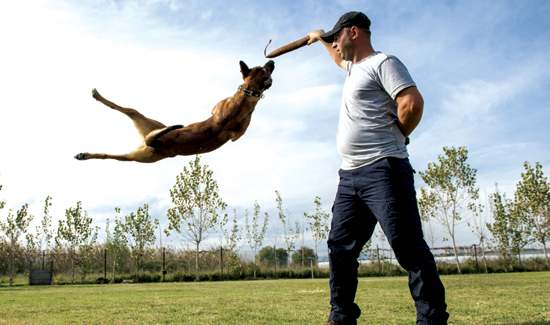 “Just like professional athletes, [K-9s] can be subject to injury on a daily basis,” says Officer Quinn Handley of the Upland Police Department in California, who was a recipient of the Petplan/NPDF grant last year. Funding for the K-9 Health Insurance Grant comes via support from Petplan as well as contributions from the public. In 2017, Petplan and the NPDF raised over $50,000 to make the 2018 grant cycle possible. Applications are open now through March 31, and all municipalities and other working police K-9 units are encouraged to apply at https://nationalpolicedogfoundation.org/k9-health-insurance-grant-application-50/. Grant recipients are chosen by the NPDF and will be announced later this year. To make a direct donation in support of grant funding, or to learn more about Petplan’s sponsorship of the NPDF, citizens can point their paws to https://nationalpolicedogfoundation.org/petplan/.